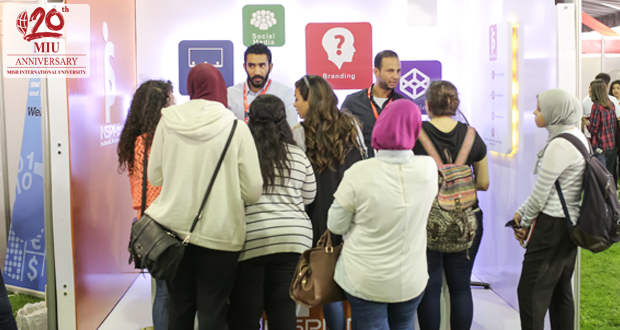 Misr International University is always keen to help its students reach their planned careers and keep their relationship with MIU. MIU organized an employment fair on April 9 to facilitate reaching 48 multinational and local companies. 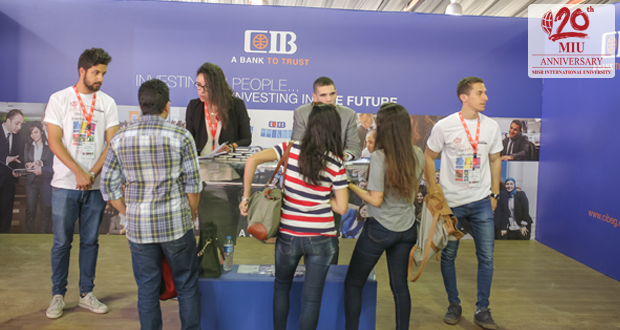 The employment fair was held on the MIU campus with the cooperation of MIU’s Alumni and Public Relations offices. 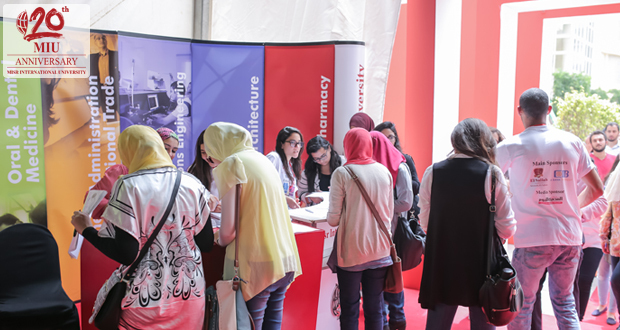 More than 350 graduates from MIU were invited to submit their CVs and meet potential employers.